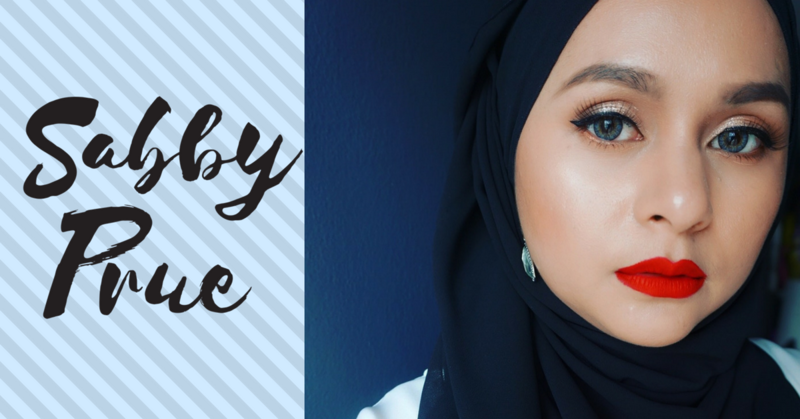 Say hi to Sabby, a full-time mom and blogger. We caught up with her to know more about how she takes life to the next level. Hi everyone! I’m Sabrina but better known as Sabby in social media platforms. I am full time mother and I blog at www.sabbyprue.com. I used to have an online baking business named Little Bakerina but I’ve been taking a super long break from it. I might get back into business soon; keep a look out for that! Share with us your journey as a blogger! When did you discover your love for blogging? I started blogging in 2008, simply because I want to share my daily routine, what I do during the weekend, new places to eat and so on. I would think of my blog as my personal diary back then but now it is more of a beauty and lifestyle oriented blog. I stated reviewing beauty products around the end of 2012 and I become addicted to sharing my thoughts and opinion with my readers. Next year is going to be my 10th anniversary of blogging! How crazy is that??? Your young one Marissa is the cutest! Share with us the best memory as a mother! I am forever grateful the fact that I got pregnant immediately after our wedding and we are so blessed. It is an amazing and heartwarming feeling to be able to experience motherhood. The best highlight of being a mother is to wake up next to her, every single day. Watching her sleep besides me, the sweet smiles she gives me when she wakes up, the countless amounts of hugs and kisses she gives me every morning, that makes everything worth it. But of course, being a mother is not easy, it’s not just about the hugs and kisses, it is about responsibilities as a mother to her daughter. Everyday is a learning process and for me the hardest part of being a mother is to decide what’s best for her and I always doubt myself whether I have done enough for her. I believe every mother struggle in raising their children especially first time mother but I know all mothers are capable in doing anything! Share with us some tips as a young mother! How do you balance your work life and family? What kind of activities do you spend time with baby Marissa? She loves playing with her toys especially her small kitchen so playtime is a must everyday. I will pretend to eat whatever she’s cooking, and she gets excited over that! She now knows how to hold crayons, so everyday is also scribbling session. And we will pick out one Disney movie everyday for her to watch; currently she loves Beauty & The Beast (animated versioned). She will dance to the theme song, Tale As Old As Time every time she hears the song. Describe yourself in 3 words! What is a typical day in your life? For days when I don’t have to attend any events, I will wake up in the morning, have my cup of coffee and complete my house chores by 2 pm. Sometimes I take some photos for my blog or filming videos somewhere in between those times. Then I will spend time with Marissa and get her to nap between 4-6pm. Then I can focus on my blog, reply emails and so on. When Marissa wakes up from her nap, it’s bath time and dinner for her. My attention will be on her until she falls asleep then I might continue my work or go to bed. Girl, we love your IG feed! What editing apps & camera do you use? To be honest, most of the time I only use the Instagram filters and editing tools. My favourite filter is Clarendon and I always play around with brightness, highlight, shadow, contrast, saturation, warmth and sharpness. Using a camera instead of a smartphone gives better images. I use Sony A5100 and I’m always satisfied with the results. What are you passionate about in life? I’m passionate about being positive in everything we do. There’s too much negativity in this world, we need to spread the love, not hate. Do you have any idols? I don’t have a specific person in mind, but anyone who works hard to achieve his or her dreams motivates and inspires me to work harder and achieve my goals in life. It’s never too late to start anything! Who do you look up to in life? My parents, they are the best examples. I want to be like them. My dad is a hardworking man and he gave my siblings and I great childhood. The opportunity to travel, education, and the list is endless. My mom is the most gentle and loving soul. She is a gem. They both are my heroes. What is the perfect weekend for you? Spending time with my family. Doesn’t matter what we do, as long as we are spending it together. Making my parents and family happy. Where do you see yourself in 2 years’ time? Gastronomic foodie fueled on caffeine with an undying passion for writing and of course, food. Our First Ever Soft Launch Party! April, You’re A Fool! Here’s 4 Reasons Why You Should Take Advantage Of foodpanda’s Amazing April Promotion!